Why Are AT&T & Verizon Throttling Your Netflix Usage? Are You Seeing A Message Like This While Watching Video on AT&T or Verizon Wireless? Apparently, Netflix has recently begun paying both Comcast and Verizon to improve network performance and carry its video streams at higher bandwidths, but so far only Comcast has reciprocated with better service. Not only has Verizon’s performance become dramatically worse, the company has continued to try and foist the blame for the problem on Netflix, claiming that the online streaming giant is deliberately degrading performance by attempting to stuff data down specific congested Verizon pipes. If you are streaming via wireless, you might want to check your data plan and usage. You wireless carrier might be throttling your data usage. Here is a video that shows using a VPN that data rates are faster proving that some sort of throttling is going on. If you want to understand the technical details behind the issue read this article. Why is Google Chrome Browser Constantly Crashing? Does your Google Chrome browser crash all the time? If you have not updated your browser software in a while its probably time that you do it. Look for About Google Chrome in your menu in the upper right corner and you will see a screen like this below. The browser will check for updates automatically. The update should stabilize your computer a bit and it should not crash as frequently. 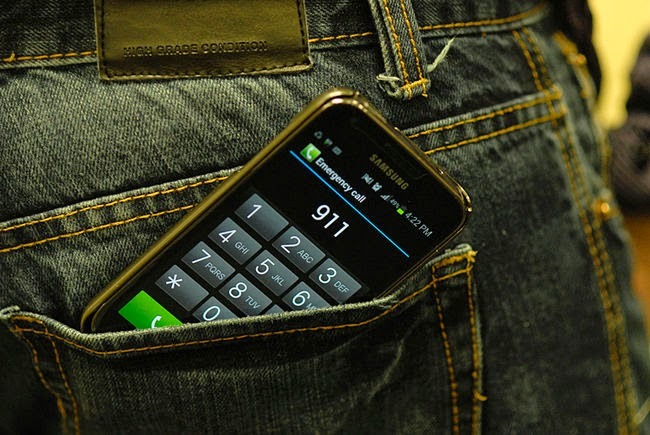 50% of e911 Calls Are "Pocket Dials"
The FCC commissioner says half of 911 calls are pocket dials. That would mean that approximately 84 million 911 calls a year are pocket dials. The real question is why are phones doing this and what apps are enabling this? I think the bigger problem frankly is many of these calls are also attempted in dead zones or areas where cell phone reception is not available. The FCC has address this issue over the years but has not been very transparent on the issue. Read more. Bluetooth proximity marketing is the latest marketing technique being deployed by retailers, Governments and sporting venues to track users. How these groups benefit from it? They do it through proximity marketing and it is about connecting with your audience at the right place and time. Bluetooth is a short-range wireless system found on most smartphones and tablets that transmit information and can receive information. Most people currently use Bluetooth for hands free in our cars or to connect to a wireless speaker. Bluetooth proximity marketing involves setting up Bluetooth "broadcasting" equipment at a particular location. If your Bluetooth is "turned on" and you are near one of these beacons. Information can be sent to devices via be text, images, audio on enabled devices (aka cell phone, tablet) within range of the transmitter (beacon). A Bluetooth enabled mobile device, when in range of the beacon (transmitter) receives the signal and then via the device's operating system, passes information to the appropriate mobile app(s). Several things need to happen beforehand. 3) The targeted individual should have a specific application installed on the their phone that is capable of receiving a push notification. 3) Locations traveled of other beacons in the area (for example locations within a store). The Mobile Black Spot Programme is an Australian Government initiative to extend mobile phone coverage and competition in regional Australia. The programme will invest in telecommunications network infrastructure to improve coverage of high quality mobile voice and wireless broadband services and competition in the provision of these services. The Government has committed $100 million (GST exclusive) over four years to the delivery of the Mobile Black Spot Programme. The program will improve coverage along major transport routes, in small communities and in locations prone to experiencing natural disasters, as well as addressing unique mobile coverage problems. 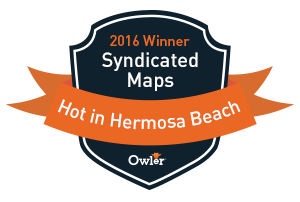 Nominations of mobile black spot locations. From 16 December 2013 to 1 August 2014, the Department of Communications received reports of approximately 6,000 locations with poor or no mobile coverage. These locations have been included in a database which is now available as an interactive map. The database will be shared with mobile network operators and infrastructure providers to assist them in preparing funding proposals for the Mobile Black Spot Programme. 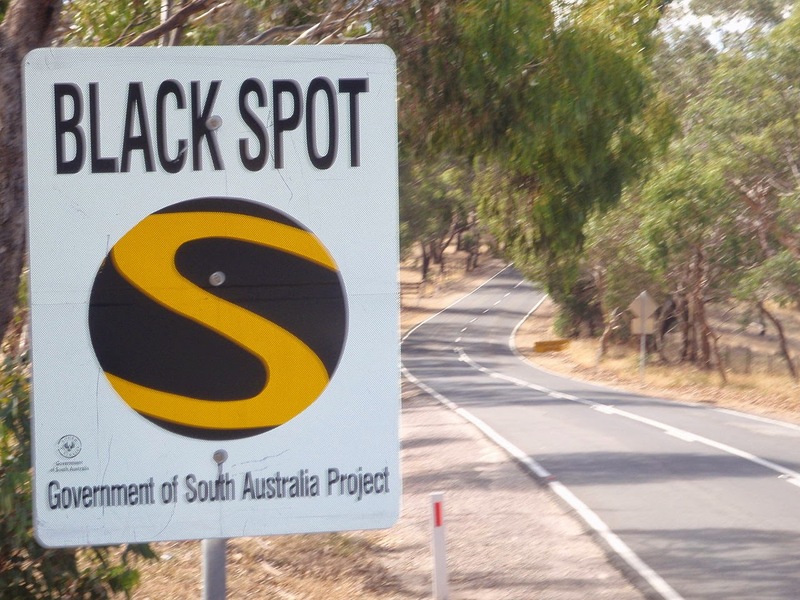 The database of mobile black spot locations closed on 1 August 2014. With mobile operators such as Telstra, Optus and Vodafone Australia expected to tap the AUD100 million government fund, the process is also reportedly expected to generate at least another AUD100 million investment from bidding parties, state governments and local councils. In terms of which locations will benefit from funding, this will be determined by a competitive selection process, with Mr Fletcher noting: ‘The final determination of the locations to receive funding will come through the competitive selection process, which is designed to allocate the funding to locations which will deliver the greatest benefit in terms of new coverage, for the public funding provided.’ This tender process will reportedly get underway this month, with a decision on successful bids expected by April 2015, ahead of new towers being rolled out in the second half of 2015. Wireless carrier voice revenues are declining almost to zero (many fees now include unlimited voice and SMS texts, charging only on the basis of data consumed). Not to mention the reliability of voice coverage is on the declines as well with carrier networks seeing congestion in many areas throughout the World. Have carriers lost control of voice and messaging services with the onset of the mobile data tsunami? It appears to be that way seeing the growth of over the top messaging services. Many wireless consumers suffering from poor quality or non-existent voice service at home have three main technical solutions to consider. The wireless industry seems uncertain of which direction to take for future voice delivery. VoLTE which stand for (Voice over LTE) seems the most popular choice and is considered by many to be the path of the future. However, the complexity of introducing the service late and alongside existing 2G/3G has delayed launch. Despite the hype at the last CTIA conference, few operators and few devices actively support it today. This could obviously change quickly over the coming year. Sprint's CTO advised they will wait until its more mature, offering HD Voice over 3G instead. Several operators are introducing Voice over Wi-Fi including operators T-Mobile. This is quite independent of VoLTE and comes in several flavors - many operators offer a separate App that can be a bit clunky and inconvenient to use. Alternatively, the new iPhone iOS8 Wi-Fi calling feature is fully integrated as a seamless service - making it as easy to use as standard cellular calls. Most T-Mobile android phones offer built in Wifi calling as well. The iPhone could be a big trigger for greater take-up of Wifi calling and may affect sales of residential Femtocells. Approximately, 10 million residential Femtocells deployed worldwide. Have you ever been on a communications tower that's missing so much hardware, you are sure there is a structural issue? Andrew Brown has. Andrew is the owner of Orchard Telesolutions, based in Michigan. One morning Andrew posted a question on Facebook addressing this very issue. I decided to do something about this all too common problem. That same day, less than a month ago, I created a Facebook page called 'Unsafe Towers’. In the week prior to writing this article, I saw on Facebook an antenna mounted with zip-ties and a tower with so much corrosion that you could actually see through the pipe. I have asked both of the men who posted those photos to let me know where those sites are located. They were each concerned with getting in trouble for actually reporting the problem. The irony is that their names are associated with their posts on Facebook. The job hazard analysis / certification of hazard assessment (JHA/CHA) was created to reduce liability to the lowest level: the climber. If there is an accident onsite, everyone from the contractor up to the carrier will tell OSHA that the climber signed the JHA/CHA that morning. The climber's signature confirms that he/she knew what was being done that day (as well as the risks involved), had been properly trained, and had accepted responsibility. Now liability for the climber's accident is laid squarely at the feet of the climber. As if the liability of death wasn't enough, now their family is left with nothing. No husband/wife, father/mother, boyfriend/girlfriend, son/daughter, uncle/aunt or grandson/granddaughter. My intent is to level the playing field. 1. “I know it's bad, but if we don't do it, someone else will. We are not giving up our PO because you are scared. Someone has to get this job done so it might as well be us”. 2. Your boss does take your concern seriously. When he tells his vendor that the tower is unsafe, there is then this conversation. “We will pull this site back from you (your company) and get someone else to do that site and give you another one”. That, your boss knows, may or may not happen. I am not going to judge you. I know the pressures associated with building cell phone sites. I understand the deadlines and unrealistic expectations of carriers who are not on-site, turf management companies that have requirements that are questionable in theory and ridiculous in practice. Enormous amounts of pressure are applied daily to your foreman and then on to the guys at elevation. There has to be recourse and I really just want to be a resource. You can go to https://www.facebook.com/unsafetowers and in the very first post, click on the link that says “Tell me about your unsafe tower”. Or you can just go to https://form.jotform.us/form/42525754737159 and fill out the form there. You can remain completely anonymous in either case. When you click on the submit button at the bottom of the page, I will get an email with all the information you have provided me. The only part of the form that is not really needed is identifying information for the person reporting the unsafe tower and I understand the desire for anonymity. If you so choose, I can also be reached at unsafetowers@gmail.com. I need as much information as possible to be able to affect change. The truth of the matter is that in the event of an accident, the climber deserves to have OSHA obtain ALL the information relevant to their investigation. I will post sites that are reported to me online. Initially, it will be the Facebook page. Later on I will post them on a website that will be linked to the ‘Unsafe Towers’ Facebook page. I am in the process of getting unsafetowers.com up and running. In the event of a death or an injury, I will contact Bridgette Hester at the Hubble Foundation or Wally Reardon who receives reports of injuries, and determine if the accident occurred at a tower that has been reported to me. If there is a match, I will notify OSHA of my report. This doesn't work without the climbing community. You are the ones who are on these sites. I know this industry and I know there are going to be those who doubt that anything will come of this. Rest assured that there are important people who want this information. The day that the Facebook page launched, I received a message from a national director for cell sites at a major carrier. I was told that this is information that he wants but has difficulty getting. I was asked to call or email him if one of their towers was reported. He asked me to notify him immediately. There is a desire for this feedback from you in the field and I need your support to make this work. Here is the information I ask for on the form linked above. 1. What state is the tower in? 2. Who owns the tower? 3. How many carriers are on the tower? 4. Is there a specific way to identify the tower? 7. Address the crew was given for the site? 8. What carrier are you working for? 9. Who issued your PO? 11. What work were you to perform? 12. What is the safety issue that caused concern? 14. If you have photos, you can upload those also. This is information I need if I am going to notify the tower owner/carrier that there is an issue. This is our livelihood and we should demand that we are NOT required to pay for the privilege with our lives. But, the most important issue remains. If the tower is unsafe, I don’t have the right to NOT report it. If I walk away from the site, you might pay with your life for my silence. Due to the extreme dangers that are inherent with this industry, we are truly our brothers' keepers. My desire is to create a database where we can track towers that for many different reasons are unsafe. Whether it is splice or stitch bolts, a collar that is peeling off of a tower, or booms that are not able to handle today’s loads, these are all items that require attention. We are not doing ourselves or our brothers and sisters in the industry any favors by passing the buck. So, I am asking for your help to make this work. After all, I wasn’t on your site today, you were. Your help benefits everyone from the carriers to the climbers. Let’s work together and change our industry.